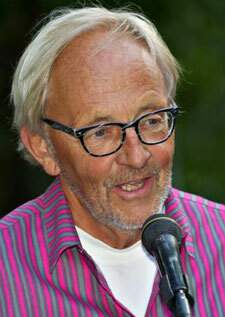 After having served as TFF Associate since 2002, Gunnar Westberg joined the Board of the foundation in October 2008. Professor of Medicine and Nephrology 1992. Served as Consultant in Medicine and Nephrology 1974-2005 at Sahlgren’s Hospital, Univ. Gothenburg. Medical research fellow in Nephrology, Univ. Minnesota USA 1967-71. Visiting Professor Univ. Minnesota 1991-93. President Swedish and Scandinavian Societies of Nephrology 1994-98. Published more than one hundred contributions in the fields of Kidney disease, experimental and clinical; Experimental Immunology; Hypertension, causes and consequences; Medical Education; Kidney transplantation; Medical Ethics, and other medical fields. Retired from Medical Practice 2006. Now Professor Emeritus of the Sahlgren’s Academy of Medicine, University of Goteborg. Member of Amnesty International since 1975. President of Amnesty for the Gothenburg region 1977-1980. Member since 1982 of SLMK, the Swedish affiliate of International Physicians for the Prevention of Nuclear War. Co-President of International Physicians for the Prevention of Nuclear War, IPPNW, 2004-2008. This organization received the Nobel Peace Prize in 1985. Participated in one or – usually – several international conferences regarding peace and nuclear disarmament every year since 1985. Arranged the Istanbul Conference on Nuclear Dangers in the Middle East 2005 with participation from Iran, among others Mr. Ali-Asghar Soltaniyeh. Visited Tehran in 2007 and 2012 with a delegation from IPPNW. We established contacts with Society for Treatment of Victims of Chemical Warfare. This contact has since been quite active. Participated in 2010 in the Conference in Tehran “Nuclear energy for everyone, nuclear weapons for no one”. Discussion papers in Swedish newspapers have been published in large numbers every year since 1985. Lectures have been held at International conferences on Nuclear weapons one or more times every year. Gunnar Westberg is married to Ann-Mari Westberg, since 1967. They have three children and four grandchildren.